Kanishka Gupta is South Asia's leading literary agent. He is also a publishing commentator writing for several national and international papers and magazines. What’s buzzing in the desi publishing biz? One-man show literary agent (provocateur if you please) Kanishka Gupta somehow always seems to know and stays one step ahead of the curve. 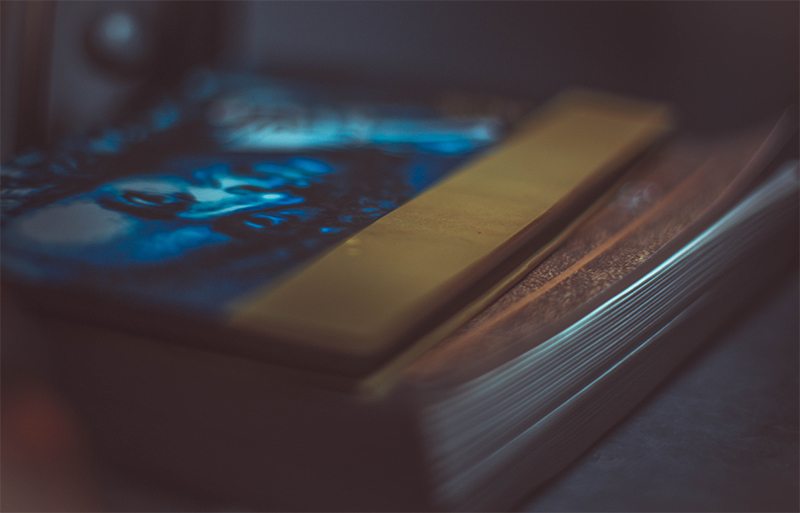 Here, he deconstructs that special genre of literary fiction everyone seems to revere and nobody seems to buy, as we bite the click-bait of a question: Are we all flogging a dead horse? In the past few months, literary fiction writers (including an internationally acclaimed one) coming out with new books in 2017 have been bothered by one thought: Will Arundhati Roy’s much anticipated second novel consign their works to literary oblivion? This concern stems as much from increasing difficulties in marketing and promoting literary fiction in the subcontinent as it does from Roy’s phenomenal stature as a novelist. As a result, some publishing schedules were shuffled, with titles being brought forward, or pushed back depending on their proximity to the epicentre of what was touted as the literary tsunami of the year. It’s almost as if The Ministry of Utmost Happiness (Roy’s new novel) has been burdened with the task of revitalising the very genre that its author popularised in the country 20 years ago. Since Roy’s win for The God of Small Things, two more Indian authors went on to win the Booker, and a handful have since been longlisted and shortlisted for the prize. However, barring Aravind Adiga’s The White Tiger, none of them have sold anywhere close to Roy’s novel, or managed to attain its iconic status. Ever since the IIT-IIM graduate Chetan Bhagat stormed the literary bastion with his particular brand of mass market fiction, India has seen a huge rise in the consumption of books by a younger age group, one that traditionally found great comfort in parting with a book at the end of a semester. Srishti’s Jayanta Kumar Bose sensed a massive opportunity in Bhagat’s success. In an interview with me for Scroll.in, he mentions that the publishing house’s decision to forge ahead with commercial fiction had nothing to do with Bhagat’s extraordinary success. “We were one of the first publishers in the commercial fiction market. The campus novel/chick-lit/rom-com genre was something which we always found intriguing, considering two factors. India has a young population, a majority of whom are in colleges and schools. And secondly, rom-com movies have been some of the highest grossing films in India.” He continued, “Our move into this genre was not a derivative of Chetan’s initial success. On a comparative scale, he was still an up-and-coming author when we published our first book in this genre. The key to our plan to enter this market was finding a good manuscript.” Bose went on to publish authors like Ravinder Singh, Durjoy Datta, Sudeep Nagarkar and Preeti Shenoy. All of them are big-selling writers today, and together with Bhagat and the leader of mythological fiction wave, Amish Tripathi, they control a big chunk of the Indian publishing pie. On seeing the success of Shrishti, behemoths like Penguin India, HarperCollins and Westland followed in their footsteps. Penguin has a dedicated imprint for mass-market books: Metro Reads. A well-known hardback literary imprint has now started publishing books in paperback flaps because the sale of expensive fiction in hardback has almost halved in the last six months. I found a deep resonance in this statement as several of my literary titles, including non-fiction ones, have been turned down by UK and US publishers precisely because the authors were not known to them, or didn’t have a familiar byline. Contrary to popular belief, foreign languages markets are equally difficult to crack, since they all follow the leaders in the West. The majority of debut fiction titles originating in the subcontinent vanish without making much of an impact. More often than not, quality has very little to do with it. Last year alone saw the publication of several new, inventive writers such as Tanuj Solanki, Sharanya Manivanan, Manu Bhattathiri, Tejaswani Apte Rahm and so on. The absence of an influential prize for fiction in the subcontinent doesn’t help their cause. Several award-winning books struggle to sell out their first print runs, let alone become bestsellers. Indian readers continue to remain hung up on Man Booker winners, and a publisher told me that even the other top international prizes such as Impac, Costa, Bailey’s Women’s Prize for Fiction, National Book Awards and so on don’t have much impact on sales. Nor does featuring in year-end book of the year lists, even in globally respected papers and magazines. The changed eligibility criteria for Man Booker, which allows authors from anywhere in the world to enter as long as they are writing in English and the books are published in the UK, will make the going tougher for writers from India. All the books that have been featured on the prize list since the revised rules came into effect have had a high proportion of American writers. Sivakumaran is clear, “People want to read new, challenging work. Most literary fiction is acquired for significantly high advances and in order to recoup such advances, these books are highly priced. Of late though, high priced fiction, especially if written by a debut writer, has been moving very slowly in the market. This has led some literary imprints to rethink their packaging and formatting. A lot of sales executives have started feeling that literary fiction priced above Rs 499 will be inimical to the sales of a book. A well-known hardback literary imprint has now started publishing books in paperback flaps because the sale of expensive fiction in hardback has almost halved in the last six months. This increased price sensitivity will have a direct impact on advances paid to literary writers in the future. What India really needs is influencers: they could be in the form of awards, prominent books clubs, literary bloggers, or even commentators. Literary fiction doesn’t seem to have taken to mobile publishing applications like Juggernaut, that is, if one were to go by the data available on their website. The list of 30 books that have been downloaded more than 1,000 times on the Juggernaut app does not feature a single literary fiction title by a debut Indian author, but instead classics by Charles Dickens, Agatha Christie, Rudyard Kipling, mass market romance, topical non-fiction such as Caste is Not a Rumour by Rohith Vemula, ‘India Vs Pakistan’ by Hussain Haqqani, ‘Operation Cactus’ by Sushant Singh, or books that benefited from certain events such as Vasanthi’s ‘Amma’ and Mahashweta Devi’s short story ‘Fishermen’. It seems that debut literary fiction struggles as much in the digital space as it does in print. One of the biggest trends in Indian publishing over the last decade or so has been the emergence of literary festivals. Hardly a day goes by without the announcement of a new festival. But do these festivals actually help bring in new readers for literary authors, especially debutants? A senior sales executive at a publishing house confirmed otherwise – that at most of these festivals, only books by major or celebrity authors sell briskly. He added that there are some festivals where despite an author’s presence and participation in multiple panels, only five or 10 copies of his books get sold. What India really needs is influencers: they could be in the form of awards, prominent books clubs, literary bloggers, or even commentators. “We probably need more grants, more scholarships for literary fiction, like in the West. Literary fiction requires a writer to hone their skills and in order to do that, they need time and financial support,” a senior editor from a publishing house told me. “Editors need to take a chance. They have to believe in their authors and support them. More often than not I see editors being unsure as they are relying on external radars and outside views to get a good writer,” she added, “Publishers will get rid of the ‘mid-list,’ which straddles the upper reaches of commercial and lower- to middle-levels of literary writing. Literary lists will become leaner, with only the best being published. Marketing teams will need to figure out ways of getting these books into the world. It’s not enough to complain that readers are vanishing; publishers will have to find a way of getting their books across to them too,” says Ghoshal on the future of literary publishing in India.